Police are appealing for witnesses after a teenager was robbed in Leamington. The robbery happened in Tachbrook Road in the early hours of Sunday morning (May 14). At about 2.20am a teenage boy was threatened with a knife by a man who stole his bike. The boy, who is 17, was not injured. The offender made off with a group of other people. 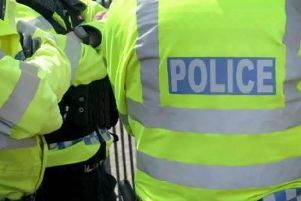 Five people, two men aged 24 and 34 and three teenage boys aged 13, 15 and 16 have been arrested in connection with the incident. All have been released under investigation. Officers would like to hear from anyone who witnessed the incident or has any information which would help them with their enquiries. Anyone with information is asked to call Warwickshire Police on 101 quoting incident 53 of 14 May.